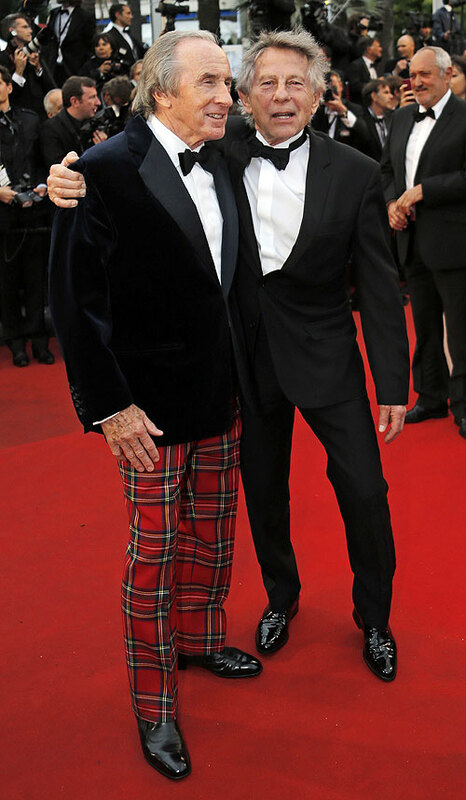 Rediff.com » Sports » Senna, Ali hog limelight at Cannes Film festival! Senna, Ali hog limelight at Cannes Film festival! Three years after Senna, the hit film biography of the late Brazilian racing driver Ayrton Senna, sporting documentaries about Jackie Stewart, Muhammad Ali and Pele are competing for attention at the Cannes Film Festival. In Weekend of a Champion, the Polish-French filmmaker Roman Polanski follows Stewart, his long-time friend, as he prepares to drive in the 1971 Monaco Grand Prix, at a time when the risks to drivers were far greater than they are now. Polanski said he had forgotten about the film, which was screened at the Berlin film festival in 1972 but never released, until a recent call from a processing lab holding the footage. He decided to resurrect it, adding a sequence where he and Stewart reunite more than 40 years later to discuss how the sport has changed. "Back in the day, it was much freer. People could practically, or almost, walk onto the track. 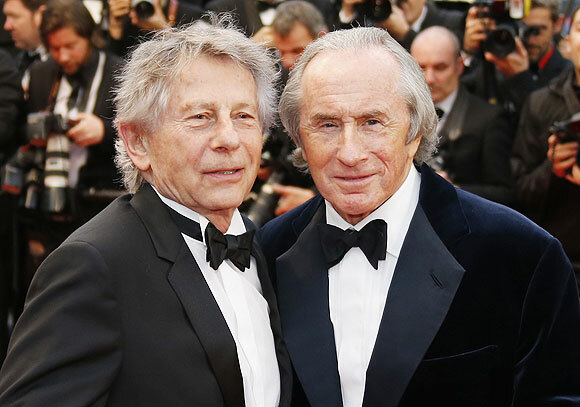 Now it's a bit NASA, a bit Martian," Polanski said after the revised version premiered in Cannes on Tuesday. Three-times world champion Stewart, now 73, said Formula One had always been at the sharp end of technology, "but I think the racing is still as good today as ever, maybe even better". "The animal is the same, the driver has the same mentality, the same type of person," he told Reuters in an interview. 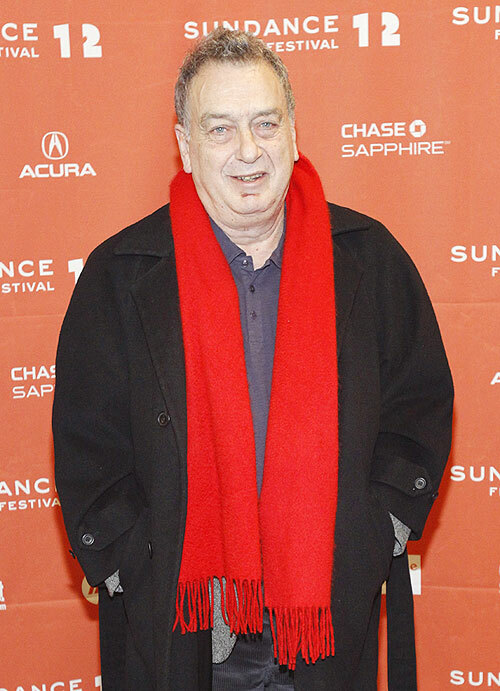 British director Stephen Frears' documentary Muhammad Ali's Greatest Fight aims to bring public attention to the boxer's court battle after he refused to fight in the Vietnam War, a stand that made him known far beyond his sport. Ali refused to be conscripted into the U.S. military in 1967, on the basis of his religious beliefs and his opposition to the war. A hero to a growing anti-war movement, vilified by others, he was found guilty of evading the draft. At the height of his career, he was stripped of his world heavyweight title and barred from the ring for nearly four years while his ultimately successful appeal worked its way up to the Supreme Court. 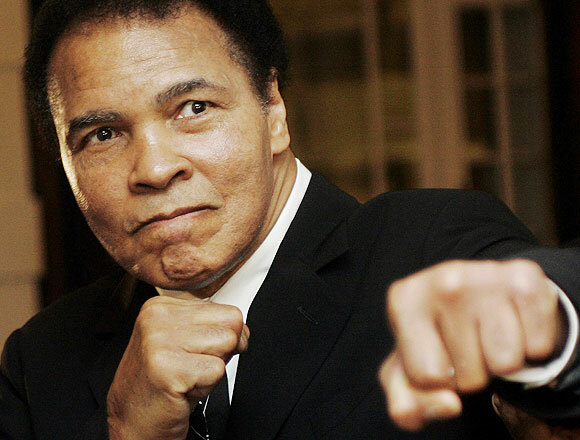 The film, made for Time Warner's HBO cable network and screened at Cannes on Wednesday, stars Christopher Plummer and Danny Glover, but no one plays Ali, now 71, who has suffered from Parkinson's disease for three decades and appears only in archive footage. Frears said he had wanted to highlight the case after discovering how badly Ali had been treated, and had received Ali's approval when he showed him the film two weeks ago. "I just had no idea that that was the story, but nobody did, nobody realised," Frears said. 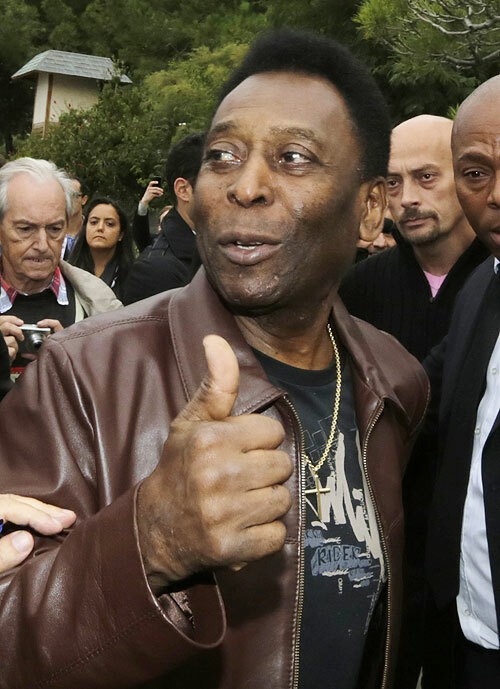 Pele, 72, was in Cannes to discuss a film about his life being made by Hollywood producer Brian Grazer, maker of Apollo 13 and A Beautiful Mind, to be released next year as Brazil hosts the 2014 soccer World Cup. Pele focuses on the Brazilian star's rise from an impoverished childhood to lead his country to its first World Cup victory, in Sweden in 1958. A documentary called "Pele Forever" was made about his life in 2004, but he said the new one aimed to inspire young people, many of whom are facing bleak prospects. "The way we constructed the film is for the new generation," he told Reuters in an interview.